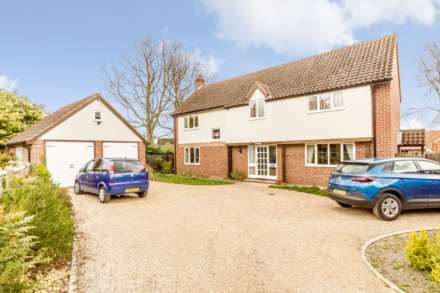 Situated in the popular village of Litcham, Longsons are delighted to bring to the market this superb, very well presented, three bedroom semi-detached house. The property has been much improved in recent years and boasts a kitchen/breakfast room, log burning stove, conservatory with separate dining area, utility area with WC, car port, parking and good size gardens. Offered for sale -CHAIN FREE! The property offers spacious entrance hall, lounge, kitchen/breakfast room, conservatory with separate sitting and dining areas, rear lobby, utility area with WC, three bedrooms, bathroom, gardens, parking, oil central heating and UPVC double glazing. East Dereham approx 9 miles; Swaffham approx 9 miles; Fakenham aprox 11 miles. 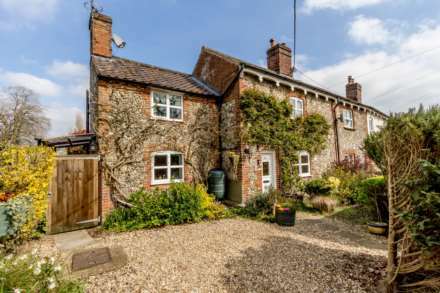 Litcham is a traditional, rural Norfolk village with one pub (The Bull Inn), two schools - a primary, and the sought after Litcham High, a local butcher, a combined post office and convenience store, and a fish and chip shop. The beautiful village church, with its prominent square tower, dates back to the 12th century, though it was rebuilt to a great extent in the 15th. Litcham and the surrounding villages in the parish (particularly Beeston and Tittleshall) have a busy events calendar. Litcham Common, officially a Local Nature Reserve for over 20 years, is superb for nature lovers, bird-watchers and particularly walkers, as it sits on the Nar Valley Way, which runs all the way from East Dereham to King`s Lynn. The three local towns of East Dereham, Swaffham and Fakenham are all about 10 miles away, providing access to a wide range of shops, pubs and restaurants. Feature fireplace with pamment tiles to hearth, wooden mantel over and inset log burning stove, built in storage and display cabinets, UPVC double glazed French doors opening to conservatory, oak flooring. Divided into two rooms, one side used as dining room, other side sitting area, UPVC double glazed French doors opening to rear garden, radiator. Rear garden laid to lawn, wooden decked seating area, wooden pagoda, wooden workshop/storage shed, covered car port to side, greenhouse, wooden fence to perimeter, gated access to front.